– You can only use yo-yos by YoYoFactory, sOMEThING, izm in your video. – You must include the name(s) of the yo-yo(s) you used in the video itself -or- you must show what yo-yo(s) you are using in an obvious way, within the video. – The entry period is from October 1st until October 25th, 2015 (Japan Time). – The video contest judges will be looking at the level of difficulty of tricks, originality, composition of the video, etc. 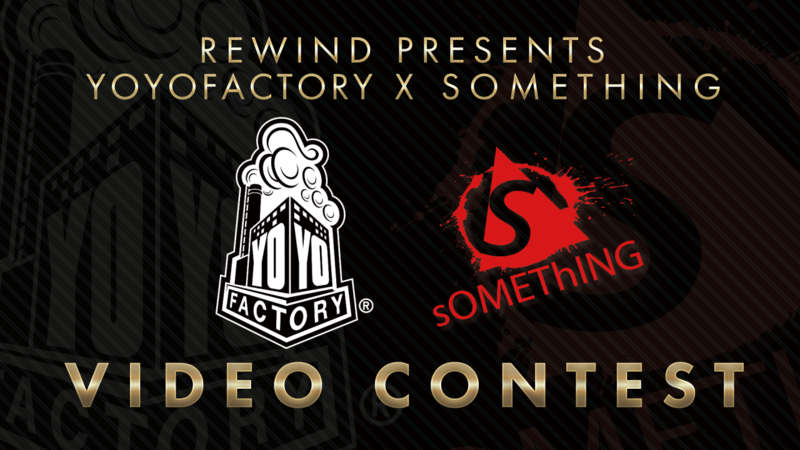 – For the Special Awards, representatives of sOMEThING and YoYoFactory will decide the winners however they like, without relation to the other judging criteria of the video contest. *The entrant’s name or nickname must should be in English alphabet letters. – Please tag the video with “REWIND”, “YoYoFactory”, “sOMEThING” and “Yo-Yo”. The video contest winners will be announced on our store blog and social media channels near the end of October or Ealy November. You’ve got until October 25th to enter. We hope to see your videos soon! Minoru Arai, one of the Special Award winners in our REWIND “Over 40” Video Contest, competed in 1A at the 2015 West Japan Regional Yo-Yo Contest (WJ)! His freestyle video is now online so come check it out! His nickname is “Arapon.” He entered the video contest as Minoru Arai (Arapon). In the past, he has competed before at WJ, and since he’s from Okayama, at the Chu-Shikoku Yo-Yo Contest (CSYC) that takes place every year in Okayama Prefecture (called Okayama Yo-Yo Contest in the past). For this year’s WJ freestyle, he executed his tricks carefully and deliberately, and we were impressed with his apparent focus on the stage. We look forward to seeing him again at the next WJ and CSYC contests! If you didn’t already see his winning video, it had a totally different approach from the other entries. In it, he interacts with people on his travels by introducing them to yo-yo. It is a beautiful idea and, quite frankly, we were touched with the results. It’s definitely worth seeing again so we highly recommend giving it a watch. Kiyoshi Kawamura, one of the Special Award winners in our REWIND “Over 40” Video Contest, competed in 4A at the 2015 East Japan Regional Yo-Yo Contest A-Block (EJ-A)! Among friends he is called “Gyawa-san”. At EJ-A this year, he competed in 4A and got 6th place. If he had gotten one place higher he could have advanced to Finals! I’m sure Gyawa-san is disappointed he couldn’t make it to finals, but he certainly made a brave effort going up against some of Japan’s top class 4A players. On top of that, it was one of his best 1 minute freestyles. On behalf of REWIND I would like to give him a round of applause! Also, since he placed in the Top 10, he is now seeded into the Semi-Finals at Japan Nationals this year. Good luck at JN, Gyawa-san!! Results for REWIND “WOMEN” Yo-Yo Video Contest! 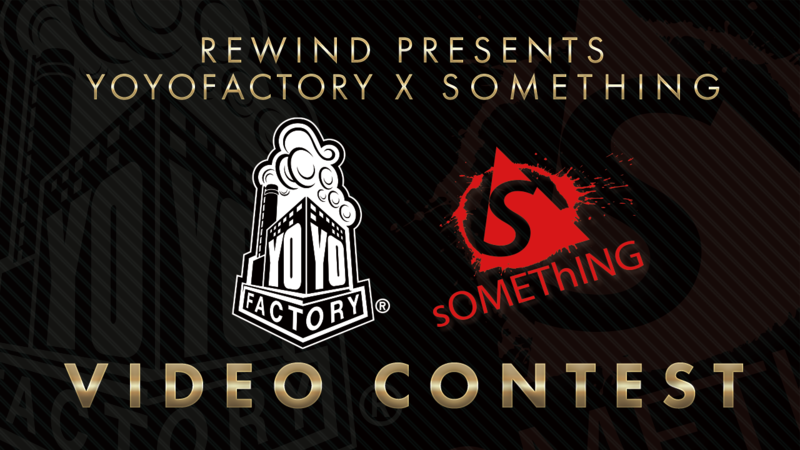 We also have the results for the REWIND “WOMEN” Yo-Yo Video Contest! With more and more women playing yo-yo worldwide, enough for a Women’s Division to be held at EYYC every year and for the first time at the World Yo-Yo Contest this year, we thought the next logical theme to follow our Over 40 video contest was one just for women. We received 20 total entries (+ 2 non-qualifying entries) from 11 countries and territories: Japan, Korea, China, Hong Kong, Taiwan, Malaysia, Indonesia, Brunei, Czech Republic, Spain, United States of America. Wow! Huge thanks to everyone who participated!! “That person is great,” “no, this person too!” When you watch each video you’ll notice like we did that everyone was so good. We had an incredibly difficult time deciding the winners! Come check out the results below and see what we mean! Not only does she have stunning technical skills, but her video excels with good lighting, camera work, careful presentation of tricks, music, scenery, etc. It has it all. You can tell she put a lot of thought into atmosphere creation, and that made her video a real work of art. In the video Leung Ming Lim Marilyn used a C3yoyodesign Apparition. – REWIND will pay your competition entry fee for one Division at one official regional contest in your appropriate country/region. – You must wear your REWIND apparel on stage. – The entry fee is non-transferable. If you win this award and choose not to compete we will not provide the fee. – If you choose not not compete we will still send you the other prizes (Video Contest special yo-yo and REWIND apparel). In the video she plays 1A, 4A and 5A, and is skilled at all of them! Subtitles appear in the video listing her titles of 3rd place in 1A at 2014 Taiwan Yo-Yo Contest, as well as 11th in 5A at Asia Pacific Yo-Yo Championships. This video is even more evidence of her abilities. Her video itself begins as she gets on a train and then goes through each play style, using different locations and shooting methods. We enjoyed the journey! It’s rare to find a woman anywhere in the world that is THIS good at 2A. Not only focusing on loop and wrap tricks, but she has even mastered two-handed Shoot the Moon! No woman has won 2A at the World Contest since Jennifer Baybrook (now a Yo-Yo Master) took the title in 1999. We really hope Hou Yimin will keep competing and go for the gold at the World Contest in the future! Betty is a member of Team YoYoFactory Mexico. She easily pulls off tricks at a fixed angle, many skillful and speedy tricks in a row, and does 2A and 5A in addition to 1A. We didn’t feel bored for a second while watching her video; it was like the two minutes went by too quickly. Betty used YoYoFactory’s Space Cowboy, Supernova, and Loop 1080 in her video. Reia hails from REWIND’s local area and we see her often at local practice meetings and events, so we knew from the beginning that she was skilled, but we did our best to judge her video in an unbiased way. Our suspicions were confirmed. She is great! Her video has several changes in locations and shooting methods and has a very complete feeling altogether. Reia used C3yoyodesign’s Krown and YoYoJoker’s Vortex in her video. We will be contacting each of you soon to sort out your prizes. You can see more information about this video contest here. You can see all of the entries from this video contest here. By doing a Women only video contest we confirmed that there are many great lady players throughout the world. However, though their numbers are increasing, overall there are still relatively few compared to men in the yo-yo community. We hope to see more and more lady players in all countries in the future! Related to that, we hope that these videos might be an inspiration for women to pick up yo-yoing and an encouragement to current lady players to keep up the good fight! We also noticed that several players included the words “See you in Tokyo!” in their videos, so we’re very much looking forward to meeting all of you at the World Yo-Yo Contest 2015 in Tokyo next year. Finally, we definitely plan on doing a second round of our Women Only Yo-Yo Video Contest (and Over 40, too!) in the future, so you can hone your skills and look forward to another chance to enter! Hope to see you all next time!! The results are in for the REWIND “Over 40” Yo-Yo Video Contest! This was our first try at a video contest exclusive to players over the age of 40, so we figured we’d be lucky to have five or so entrants. That’s what we’d hoped for anyway. All in all we received 13 entries! Wow! Thanks for participating, everyone!! When judging the contest we went back and forth discussing what we loved about each player and had a very difficult time deciding the winners. You were all great! Check out the winners below and see all of their wonderful videos. In the video he pulls a onedrop Cascade from his bag and proceeds to impress us with his complicated string tricks. His skills put him above the rest and had all REWIND staff exclaiming “he’s so good!” We also thought the variation he put into his shooting locations and camera angles was noteworthy. The scene is set with Kiyoshi Kawamura’s entry video playing in the background and turns into a video that tells a good story. Stick around at the end where he hits a three fingered suicide catch. A staple on the American west coast contest circuit, Rick is the eldest entrant in this video contest. No stranger to yo-yo competition, Rick has enough skill to have entered the 4A division at the World Yo-Yo Contest. We think he may just be the best off string player, over 40, in the world. Recently he entered HamaCon 2014 and we hope he keeps entering contests in the future. He also entered this video contest under the name Zundoko Kiyoshi with “Working Guy” as his video theme. 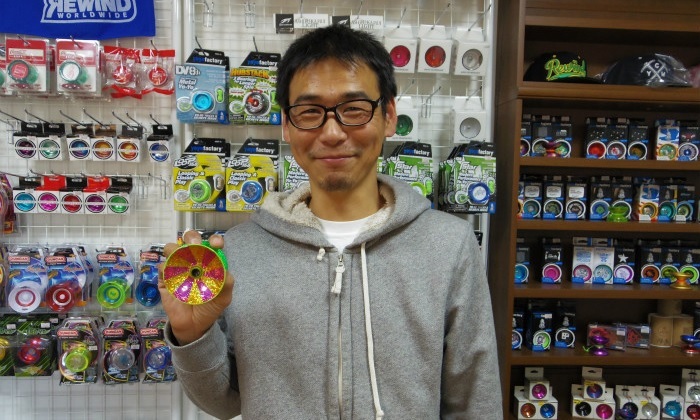 Kiyoshi is a great guy that continues to support the yo-yo community in many ways, including running a yo-yo practice meeting, working as a staff member at contests, and more. It really shows in his video! In his video he is shown traveling and playing yo-yo with people he meets along the way. In the video, everyone smiling and having fun really made an impression on us. We had two goals in mind when we started this contest. We wanted to create an opportunity just for those adults to participate in! Furthermore, we hoped that not just the entrants of the contest, but viewers just like them, might be influenced by their videos. We hoped that people would think, “There are adults over 40 who are this amazing at yo-yo!” and be encouraged and motivated to play yo-yo too. Looking at the results we feel that both goals have been accomplished, and we’re definitely glad we held this video contest. In the future we plan to hold a second round of the Over 40 Video Contest. People who didn’t enter this time will have a chance to participate too! We hope you’ll be practicing and looking forward to it!